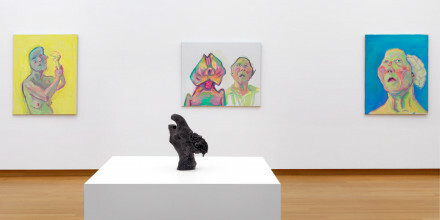 First large survey of the Austrian artist Maria Lassnig in the Netherlands. 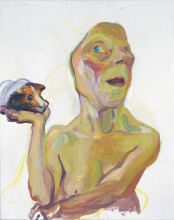 Maria Lassnig is internationally regarded as one of the leading women artists of the twentieth and twenty first centuries. 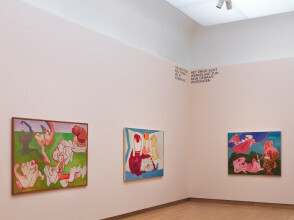 Maria Lassnig (1919–2014) made her name with her 'Körperbewusstseinsbilder', or 'body awareness' paintings, in which she depicts the sensations experienced by her body, by means of which she defined her relationship to the world. 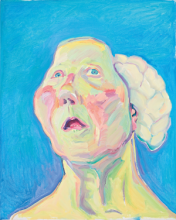 Maria Lassnig - Ways of Being features more than 200 loaned artworks, with key pieces such as Du oder Ich, Woman Power, Krankenhaus, Dame mit Hirn and her last self-portrait Selbstporträt mit Pinsel. In addition to her paintings and drawings, the survey is remarkable for presenting a large selection of her films and sculptures, including works that have never been shown before. After completing her training at the Academy of Fine Arts in Vienna, from 1950 onwards, Maria Lassnig focused on abstract art. 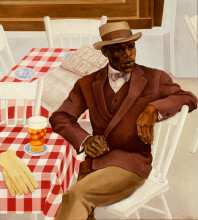 Several visits to Paris inspired her to experiment with colour, form and informal painting. 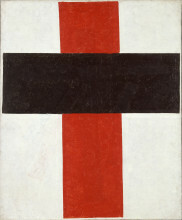 In Vienna she came into contact with Monseigneur Otto Mauer, a resolute supporter of the Austrian avant-garde. 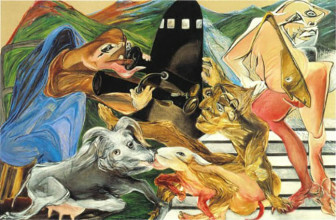 She joined the 'Hundsgruppe' (‘Dog Pack’), an off-shoot of the artists' organisation Art Club, with members such as Arik Brauer, Ernst Fuchs and Arnulf Rainer. From 1960 to 1968, Lassnig lived and worked in Paris. After initially concentrating on 'Strichbilder'—large paintings with shapes that consisted entirely of coloured lines—she went on to embrace a more figurative style. In 1968 she moved to New York, where her 'body awareness painting' went largely unrecognised. She responded by pouring her energies into a realistic form of painting, and animated film. She released some animated films. Lassnig's legacy includes a great many other films and film fragments, a selection of which can be seen in the exhibition, as well as a number of her notebooks which include storyboards for the films. I searched for a reality that was more fully in my possession than the exterior world, and I found it waiting for me in the body house in which I dwell, the realest and clearest reality. In 1974 she founded the feminist avant-garde group Women/Artist/Filmmakers, Inc. with other female (film) artists, including Martha Edelheit, Carolee Schneemann and Silvianna Goldsmith. Throughout this time, she exhibited her paintings and graphic work mainly in Vienna. Although the style of Lassnig’s work constantly shifted, her themes remained the same. While immersing herself in her central theme of 'body awareness', she also explored themes such as family, death, and urgent social issues ranging from the role of women in society, political conflicts, to technological progress and communication between humans and animals. 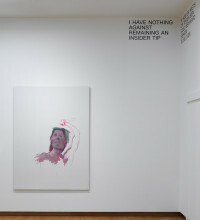 She embellished nothing, and her works are often rich in (self) irony, which is also clear from many of her titles, like Selbstporträt als Playboystuhl and Die neuronale Verschwendung. In 1980, when she was appointed the first female professor to teach painting at the Academy for Applied Arts in Vienna, Lassnig’s work garnered far greater recognition. In 1988 she was awarded the Austrian State Prize and, in 2013, was the recipient of the Venice Biennale’s Golden Lion for Lifetime Achievement. 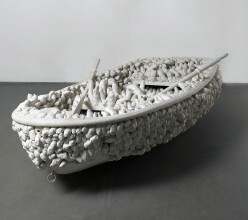 In the meantime, she is internationally regarded as one of the most important artists of the 20th and 21st centuries. 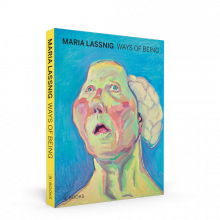 The exhibition is accompanied by an extensive catalog: Maria Lassnig - Ways of Being. This richly illustrated publication includes essays by Wolfgang Drechsler, Stefanie Proksch-Weilguni, curators Beatrice von Bormann and Antonia Hoerschelmann, and a biography by Johanna Ortner of the Maria Lassnig Foundation. 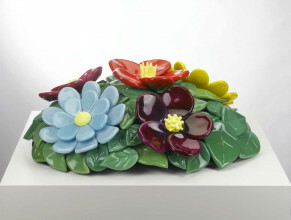 The catalog (208 pages) is published by Hirmer Verlag and appears in English, German and Dutch. Price English / Dutch edition: € 29,50 (paperback). Welcome in Maria Lassnig's studio, where you can experience how Maria Lassnig thought and operated. We invite you to sit down on one of the benches. Do you feel comfortable? What shape does your body have now? How does it feel? Discover what Maria Lassnig meant with her term “body awareness” by drawing the body parts you feel the most. Is it your bottom, your upper legs, your back, or maybe your arms? Or do you feel something different? 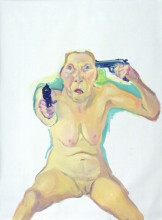 You can find Maria Lassnig's studio in gallery 1.16. 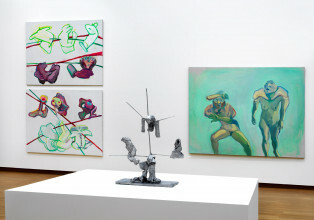 For the exhibition Maria Lassnig – Ways of Being the Stedelijk Museum worked together with students from the HMC vocational college for woodworking, furniture, and interior design. 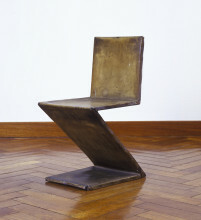 Students Storm de Jong, Niels Hoogewerf, and Dirk Schoutens took Lassnig's use of color, shapes, and themes as a source of inspiration for their own furniture designs. 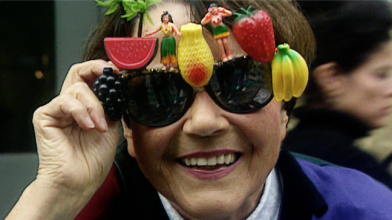 In Maria Lassnig's Studio you can also create your own short animation, like Maria Lassnig. Grab a flip book, draw, and flip it!